Proximal femur fractures are a common injury, particularly in the elderly. 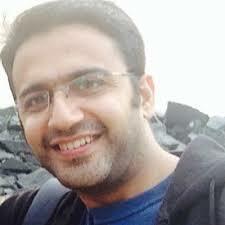 If seen in the younger population then it signifies significant degree of forces involved. Fractures can be described as intracapsular (NOF) or extracapsualar (intertrochanteric, transtrochanteric and subtrochanteric). Intracapsular fractures are at high risk of non-union and avascular necrosis due to compromisedd blood supply and often arthroplasty (either hemiarthroplasty or total hip replacement) may be indicated for these fractures. It is important to always consider the possibility of a pathological fracture in any patient who has a known diagnosis of malignancy. Intracapsular - Commonly referred to as NOF. Typically seen in elderly patients who present with trivial trauma, such as a fall from standing height. They patints often have osteoporosis or a lytic lesion. 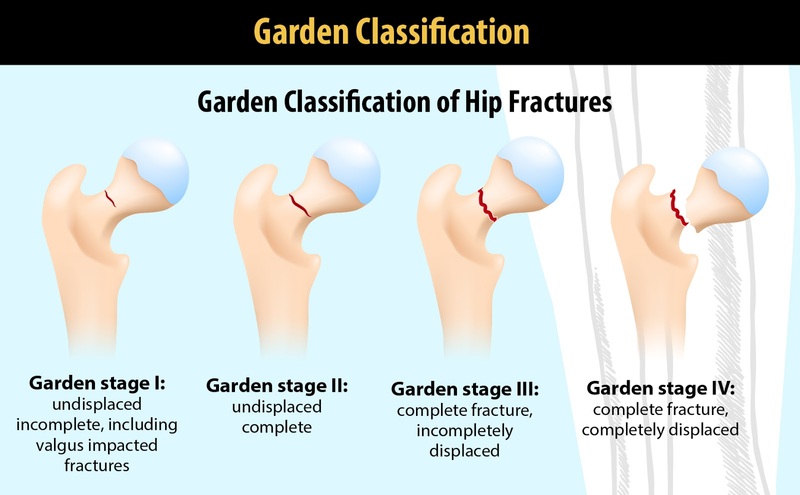 Neck of femur fractures are classified into 4 grades according to the Garden system based on an increasing degree of displacement. The management of intracapsular fracture depends on the degree of displacement and to a degree the fitness of the patient. Undisplaced fractures are fixed (cannulated hip screws) and displaced fractures are replaced, usually with a hemiarthroplasty. Exceptions - Displaced fractures in fit young patients should be fixed within 6 hours rather than replaced because there is a high risk of avascular necrosis, to insert a joint replacement in younger patients is the last resort as it will almost certainly need multiple revision surgeries as the total hip replacement wears out. healthy patients between the ages of 40 and 60 would do poorly with a hemiarthroplasty as they still have a high functional demand. These patients should be treated with a total hip replacement which has much better functional outcomes. Intertrochanteric - Extracapsular injuries and thus pose little concerns to the blood supply of the femoral head. Treatment is fixation rather than replacement. Generally fixed with a compression hip screw. 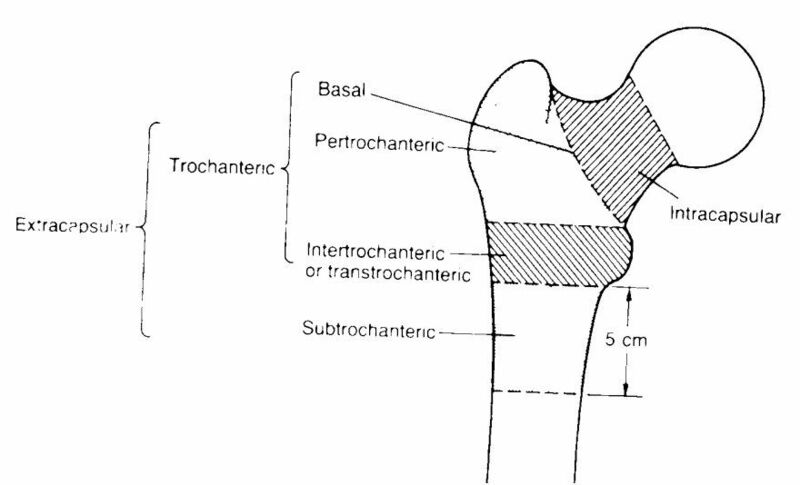 Subtrochanteric - Extracapsular fractures typically seen in two circumstances ie. 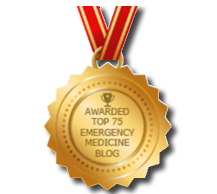 high energy trauma and due to lytic lesions. Occasionally also seen as fragility fractures in the elderly. Fixation is the treatment of choice and intramedullary nail with a hip screw is typically used.